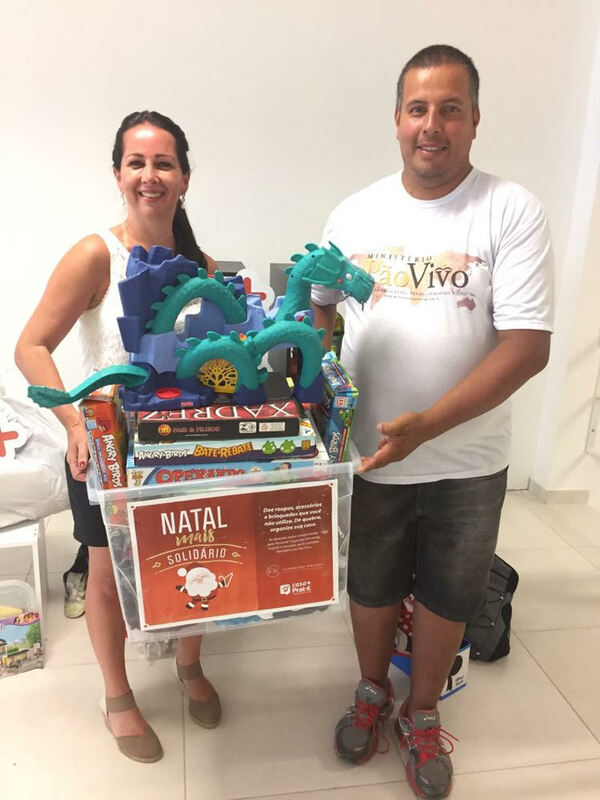 A few weeks ago one of our church plants in Southern Brazil received a generous donation from a new program, NATAL+SOLIDÁRIO. This team is made up of personal organizer professionals, who use their organizational talents to help their clients streamline their belongings. This year they encouraged their clients after reorganizing their homes and offices to donate their gently used, no longer needed items. The group set up donation sites in four Brazilian home goods stores across the state of Rio Grande do Sul. For each location a local non-profit organization was selected to receive the donated items. We were thrilled that the Capão da Canoa location chose to partner with the local branch of Living Bread Ministries! It’s always such an encouragement to us and our church planters to witness the creative ways people use their God-given gifts and abilities to be a blessing! Thank you for your generoisty, NATAL+SOLIDÁRIO! Have a creative way you’d like to raise funds to support our work among the poor? We’d love to hear about it! Contact our Communications Director: aleah@livingbread.org.